The year is only half over, but I already have serious doubts that there will be any other book that I read this year that will knock this one off the top of my list of favorite books read in 2017. When I first read the description of Rabbit Cake, I knew I had to read it. Within the first few pages, I was already telling anyone who would listen that they had to read it too. With every page afterwards, I fell more and more in love with the story of Elvis Babbitt and her family as they deal with the loss of her mother, Eva. Elvis tells the story in a way that only a twelve-year-old could, and the beautiful mix of her grief, curiosity, and remaining innocence and naivety is the perfect recipe for a truly incredible character. Annie Hartnett created a true gem of a character in Elvis. I just finished this book earlier today, and I already miss Elvis’s presence. 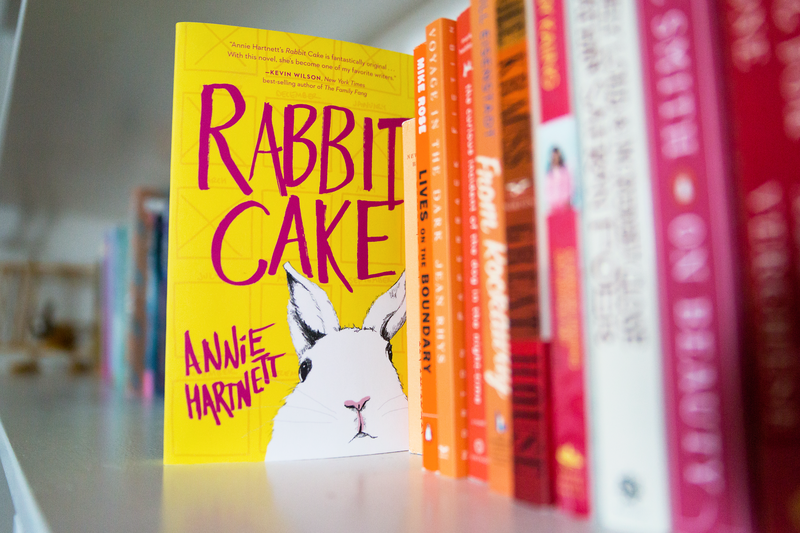 Every single aspect of Rabbit Cake warrants the love I have for this book. I love the dark humor, and the level to which Hartnett developed the characters made me know enough about them to love them and invest in their development while still leaving me with enough questions to have plenty to ponder. I found myself personally invested in all the characters, even minor ones such as Jackie Friskey, and Hartnett has a way of making even brief moments carry tremendous emotional weight that left me in tears several times throughout the book. Her choice to have Elvis tell this story was absolutely perfect, and Elvis herself is the source of much of the love I have for Rabbit Cake. However, the true beauty of Rabbit Cake lies in the way Hartnett threaded the theme of grief throughout the novel in such a variety of ways. Elvis, Lizzie, and their dad all went through the process of grieving for Eva in unique ways, and the other types of grief they experienced were powerful examples of how life presents us with different types of sorrow, and how people deal with their sorrow is complex. This is simply a beautiful book that made me laugh at some moments, sob at others, and get teary-eyed when I finished purely because I was sad that it was over. Posted in FictionTagged book review, Fiction, quirky characters, Rabbit CakeBookmark the permalink.